STOP PRESS – Employment Tribunal Fees are Unlawful! Since the introduction of Employment Tribunal fees in July 2013, there has been around a 70% reduction in the number of Tribunal claims being issued. Four years later, on 26 July 2017 and after a legal battle between Unison and the Government, the Supreme Court decided that the fees are unlawful because they prevent access to justice. Issue fee – £160 for wages claims (type A claims) and £250 for unfair dismissal and/or discrimination claims (type B claims). Hearing fee – £250 for type A claims and £950 for type B claims. A remission scheme was put in place to reduce the fee or remove it altogether. However, this only applied to those with very limited means. For example, the threshold for savings was approximately £3,000. If an employee was successful with their case, the Tribunal would order the employer to pay any fees paid by the employee. 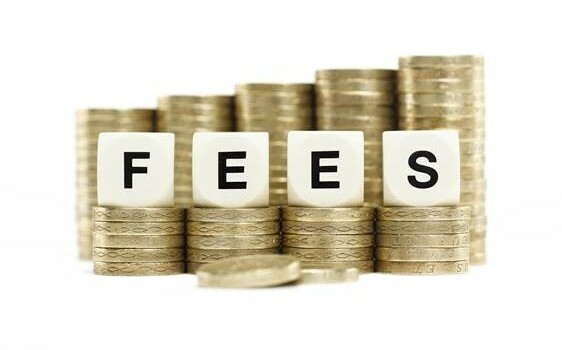 Unison’s battle for a review of the fee regime started shortly after the fees were introduced in 2013. They argued that the fees prevented access to justice and indirectly discriminated against women and other protected groups. The courts initially rejected Unison’s arguments, although the courts noted that they would continue to review the position in light of the effect on the number of claims being made to the Tribunals. Some 4 years later, the case reached the Supreme Court. The Court noted the importance of having a fair and just system and the imbalance of economic power between employees and employers. In fact, the Court went further and suggested that employers took advantage of the introduction of fees, because they recognised the cost implications of issuing a claim could deter an employee from bringing a claim. The Court also recognised potential discrimination with the system due to a higher proportion of women (and others with protected characteristics) bringing type B claims, which put them at a particular disadvantage compared to others. The Supreme Court has not decided that all fees are unlawful, as it acknowledged a need for the Tribunal system to fund itself. However, the fees need to be set at a reasonable level and remove any unjust effects. It has been suggested that a similar approach could be taken to that in the county court with the fees being linked to the amount claimed. However, this will require further consideration. For those employees who issued claims prior to the date of the judgment, the Government has said it will refund the amounts paid. It has not been said how this will work logistically, but a suggestion is that the Government will set up an online portal for Claimants to reclaim their fee. For employers previously ordered to pay the employee’s fees as part of an award, in reaching this decision, the Judge would have used his discretion under the tribunal rules, rather than by law. As such, these fees may not be quite as easy to recover. We therefore await further guidance in this respect. Parties who settled their cases before going to Tribunal may have agreed a sum in respect of the fees they had paid. Reclaiming this from an employee will be difficult, particularly if the settlement agreement or COT3 agreement doesn’t specifically stipulate it was reimbursement for fees. There is also a lot of speculation about employees who did not bring claims because of the Tribunal fees and whether they should be allowed to do so, even though their claim will be out of time. Whilst this seems extremely unlikely, as it was not addressed in the judgment, we will have to wait and see what happens. Will there be an increase in Tribunal claims as a result of this decision? The ACAS Early Conciliation (EC) process remains in place and parties will be expected to try and resolve any issues prior to a claim being issued. The removal of the fee system, simply means that at the end of the EC period, there is less of a deterrent for the employee to bring a claim. As a result, we are likely to see an increase in claims, particularly low value wages claims. Whilst this is unlikely to happen overnight, we might well see the EC process being used more effectively by the parties almost immediately!